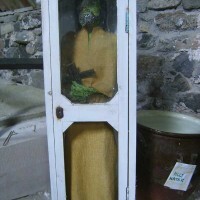 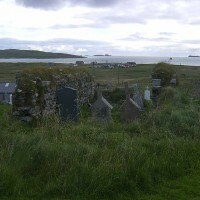 Cille Bharra is an ancient graveyard with the historic ruins of a medieval church dedicated to St. Barr. 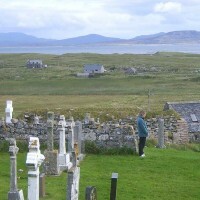 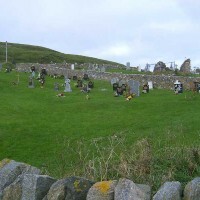 Other chapels and ancient graves all lie within what is now Eoligarry burial ground. 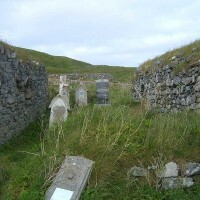 Some of the ruins go back probably to the 600’s and would have been dedicated to St Finbarr, but the later medieval chapel and ruins date around 1100. 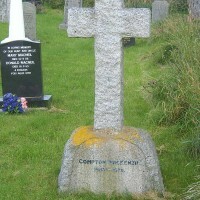 Burials include the author Compton Mackenzie, the writer of Whisky Galore.